The Motorola Fire XT is a sleek phone designed to perfection. It is built on the Android gingerbread. The Fire XT comes with a set of innovative features, improved speed, better power and enhanced control over the home screen. You can now separate work from play with the mode switch and friend centric widgets. If you wish to capture life`s precious moments the 5MP camera is ideal as it comes with LED flash and automatic focus. 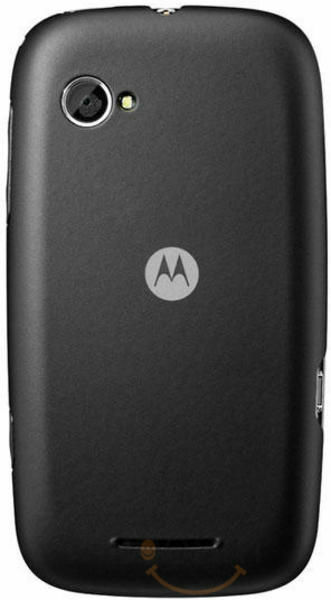 The Motorola Fire XT is powered by a 1540 mAh battery which provides up to 7hrs talk time in 2G and up to 5hrs talk time on 3G. There are a host of messaging features that would help you stay in touch with friends namely the Email option, MMS, SMS, Instant messaging and Voice Mail. For easy access to internet and games, the Fire XT has the Web Browser (Android Webkit) and Android market. There are host of other features too that will entice the user. The high end connectivity options include WiFi, Bluetooth technology, Micro USB type connector, aGPS, eCompass and standalone GPS. The 3.5mm headset jack is yet another highlight of the phone. In addition to the above, the Motorola Fire XT also comes with a 3.5 inches wide TFT multi touch display. Loaded with all the modern features, the Motorola Fire XT is surely a great buy. Fire XT 530 is simply a wonder from Motorola. Got this phone three days ago...a slight delay in delivery happened cz of the processing...but i m happy after using the phone...nice packaging. The phone is very powerful....the screen size is enough for good android experience. It runs games like angry bird rio and raging thunder2 smoothly...thnks to the 800mhz cpu, 200 mhz graphics processor and 512mb RAM. Its motion and light sensor is excellent. Apart from the internal memory of 150mb only everything in this mob is pretty decent. Nice strong build up...made of metal. screen quality is brilliant. Internet surfing speed in 2g network is fast and smooth. It came with 2.3.5 Gingerbread...so no need to update. Games, web, apps, google maps, touch sensibility, battery back up is above par than all the smart phones in the near range. Below Rs 10K this phone runs like above Rs 15K models. 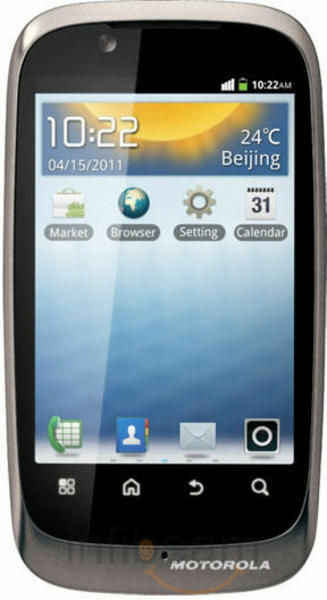 So friends u can absolutely trust Motorola FireXT 530 and experience smart android. The Moto is back to rule the smart phone world. Excellent call quality, very good value for money, Was shipped via DTDC and reached me at Guwahati in 2 days. I am completely happy with this infibeam service and also this motorola product. i got on time with nice sealed packed.it good to have for Infibeam to anywhere india. Very Good response from Infibeam, though the Product was dated to be shipped in a week's time, upon my request they assured me to deliver me the same 2 days earlier. Infibeam also kept informing me about the status of shipment on time. That way Infi is Very Good. Product was neatly packed and everything was perfect. Thanks to Infi.. I bought this mobile from infibeam & its a good deal overall, it will take 4 working days. Hope to buy more in future. Thakyou infibeam. Good phone for value of money. Nice overall feel. Lightweight, nice camera, battery life for the price. Thank u infibeam for ur great service. The phone is good bt batary is not so good.1500 mah should last atleast one & half day bt in my case it last max 20 hr.of modarate use such 1hr browsing,30 min game play,and download some application in 2G mode thats it.no,caling & meseging or listen music.also the back botom of android key is less responsive other than all r well.in a word in this price this is the best mobile in market. I am quite happy to have this. It is a good phone. Touch screen is responsive. All the features listed are working great. 4 standard android touch screens on the bottom are sometimes less responsive. Wi-Fi hotspot is working effortlessly. USB tethering is working great for linux without any setup. overall a good mobile phone.